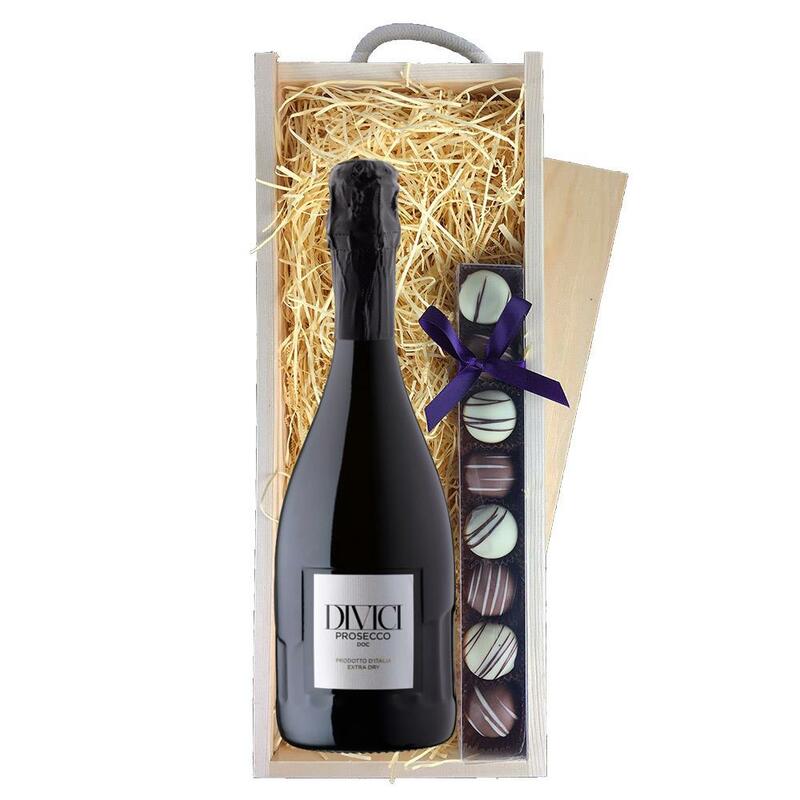 A single bottle of Divici Prosecco DOC 75cl and a single strip of fine Hand Made Truffles(100g) Presented in a wooden gift box with sliding lid and lined with wood wool with a Gift Card for your personal message. Divici Prosecco DOC DIVICI Prosecco epitomises the best Italy has to offer. The Style is fruity light and aromatic. Classicly Harmonic. This product is hand packed onsite by Bottled and Boxed, and is not affiliated with any other brand. Bottled and Boxed is responsible for this product combination/set.